Here is a neat little SEO trick to get your brand new site indexed really quickly by the major search engines. It is totally free and relies upon high page rank forum links. It is, however 100% spam free! That was a brilliant piece of info, I had not thought of that before! A very interesting and useful piece of info.indeed! Most impressed. Thanks for sharing. I am in rude health now, Craig. Anything neat I find, I always pass to subscribers straight away. Good trick! I never know this piece of info will get my site indexed faster. Thanks for sharing, I will try it now. I could not pick up what your opening statement meant relative to being a forum member. Can you tell what I have to do to get the coding as was shown in your vid? When you have registered on a forum you can go to your profile and will see where you can create a signature. There you can create some text and link it to a site. Some will not let you add a link in there until you have made a certain number of posts, though and often affiliate links are not allowed. So in that area you can write your signature and use the WYSIWYG editor to link the text where you ant it to go. The linking code will be handled by the in-built WYSIWYG editor in most forums. Another wonderful tip from the Guru. Thanks Buddy. William Rodgers on Do You Want Cereal With That? A Marketing Shift. Join This Free Facebook Group! 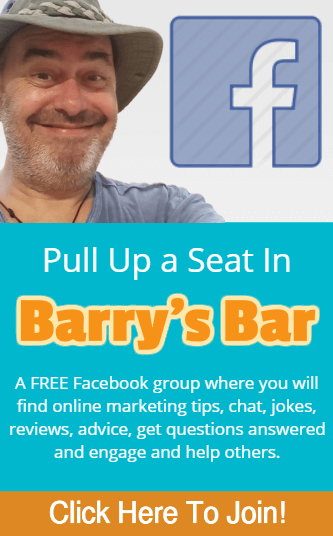 © 2019 Barry Rodgers Internet Marketing Blog.